SEOUL/KUALA LUMPUR (Reuters) - Malaysian police on Wednesday detained a woman holding Vietnam travel papers and are looking for a "few" other foreign suspects in connection with the assassination of North Korean leader Kim Jong Un's estranged half-brother, police said. Lawmakers in South Korea had earlier cited their spy agency as saying it suspected two female North Korean agents had murdered Kim Jong Nam, and U.S. government sources also told Reuters they believed North Korean assassins were responsible. The woman detained at Kuala Lumpur airport was identified from CCTV footage at the airport and was alone when she was apprehended, police said in a statement.Media had earlier published a grainy CCTV-captured image of a young woman wearing a white shirt with the letters "LOL" on the front. "Police are looking for a few others, all foreigners," Deputy Inspector-General Noor Rashid Ibrahim told Reuters, declining to give their nationalities or gender. South Korean intelligence believes Kim Jong Nam was poisoned, the lawmakers in South Korea's capital, Seoul, said. The spy agency told them that the young and unpredictable North Korean leader had issued a "standing order" for his half-brother's assassination, and that there had been a failed attempt in 2012. "The cause of death is strongly suspected to be a poisoning attack," said South Korean lawmaker Kim Byung-kee, who was briefed by the spy agency. Kim had been at the airport's budget terminal to catch a flight to Macau on Monday when someone grabbed or held his face from behind, after which he felt dizzy and sought help at an information desk, Malaysian police official Fadzil Ahmat said. According to South Korea's spy agency, Kim Jong Nam had been living, under Beijing's protection, with his second wife in the Chinese territory of Macau, the lawmakers said. One of them said Kim Jong Nam also had a wife and son in Beijing. Kim had spoken out publicly against his family's dynastic control of the isolated state. "If the murder of Kim Jong Nam was confirmed to be committed by the North Korean regime, that would clearly depict the brutality and inhumanity of the Kim Jong Un regime," South Korean Prime Minister Hwang Kyo-ahn, who is also acting president, told a security meeting. The meeting was called in response to Kim Jong Nam's death, news of which first emerged late on Tuesday. South Korea is acutely sensitive to any sign of instability in isolated North Korea, and is still technically in a state of war with its impoverished and nuclear-armed neighbor, which carried out its latest ballistic missile test on Sunday. Malaysian police said Kim held a passport under the name Kim Chol, with a birth date that made him 46. Kim Jong Nam was known to spend a significant amount of time outside North Korea, traveling in Macau and Hong Kong as well as mainland China, and has been caught in the past using forged travel documents. His body was taken on Wednesday to a second hospital, where an autopsy was being performed. North Korean embassy officials had arrived at the hospital and were coordinating with authorities, police sources said. There was no mention of Kim Jong Nam's death in North Korean media. In Beijing, a foreign ministry spokesman said China was aware of the reports and closely following developments. 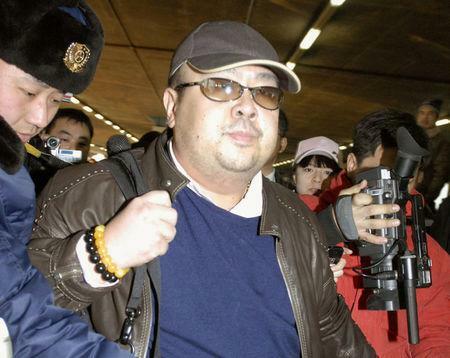 Yoji Gomi, a Japanese journalist who wrote a 2012 book on Kim Jong Nam, said Kim's media appearances, which increased around the time South Korean intelligence said he was targeted for assassination, may have been an attempt to protect himself. "I now have the impression that even he may have had a sense of danger, so he began exposing himself in the media and stating his opinions to protect himself and counter North Korea," Gomi told a talk show on Japan's NTV. 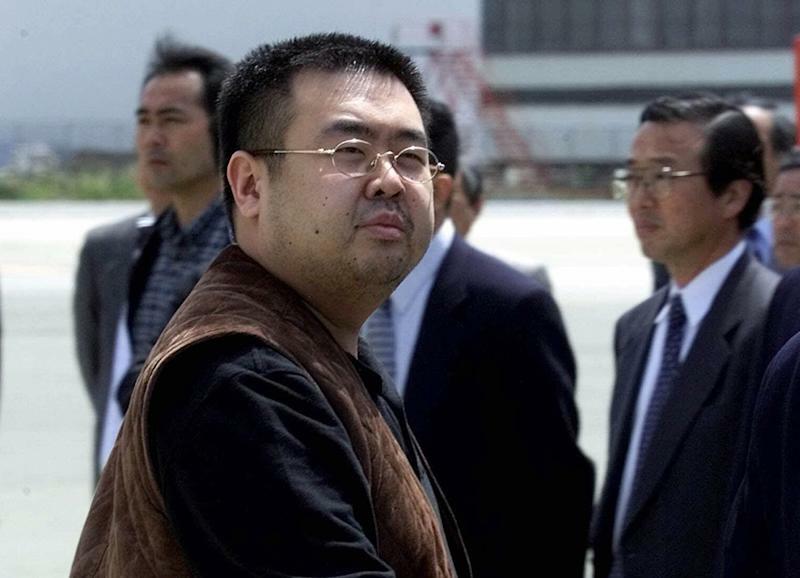 South Korea's spy agency said Kim Jong Nam wrote a letter to Kim Jong Un in 2012 asking that the lives of him and his family be spared, one of the lawmakers said. "Kim Jong Un may have been worried about more and more North Korean elites turning against him after Thae Yong Ho defected to the South," said Koh Yu-hwan, an expert on the North Korean leadership at Dongguk University in Seoul, referring to last year's defection by North Korea's deputy ambassador in London. Numerous North Korean officials have been purged or killed since Kim Jong Un took power following his father's death in 2011. Those include his uncle Jang Song Thaek, who was considered the country's second most-powerful person and was believed to have been close to Kim Jong Nam. Jang was executed on Kim Jong Un's orders in 2013.